If you've organized any webinars, you know the amount of effort required to get people to attend them. It often takes numerous rounds of promotional emails and follow-ups to secure registrations. But all of your effort will be wasted if the attendees are not adequately engaged throughout the webinar. Engagement is truly the key to making your webinar successful. If your attendees are engaged, they are more likely to retain the information you've shared. They will also have a positive experience, and so they will be interested in attending future webinars, too. So how do you increase engagement? 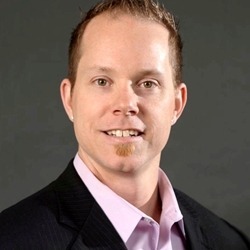 Shane Barker is a digital marketing consultant who specializes in sales funnels, targeted traffic, and website conversions. He has consulted with Fortune 500 companies, influencers, and A-list celebrities.